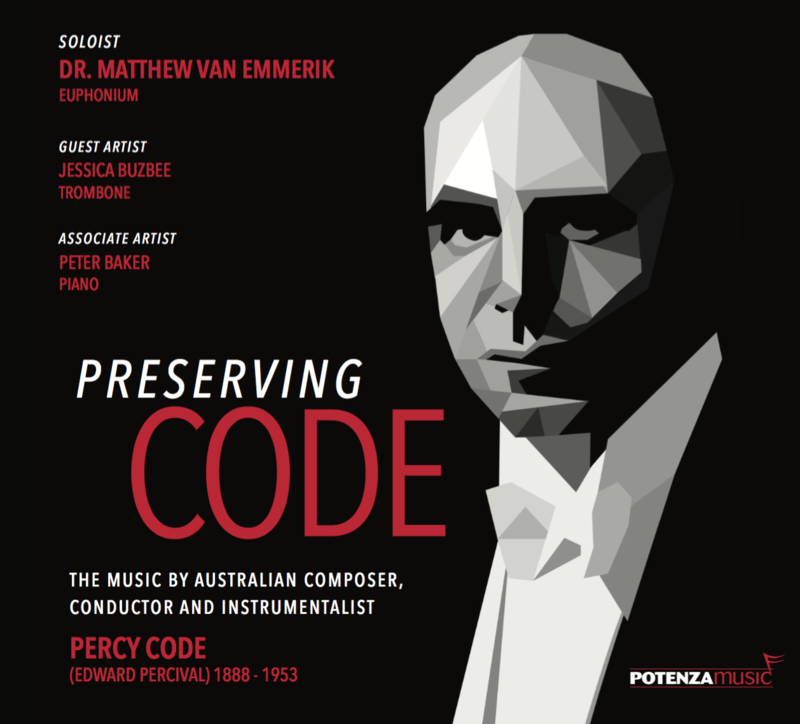 In Preserving Code, Dr. Matthew van Emmerik presents a collection of solos from the pen of early 20th Century Australian composer, Percy Code. For the most part, the music is presented in chronological order, with the exception of At Dawn and At Sunset appropriately acting as nominal bookends for the CD. In both, van Emmerik demonstrates delightful warmth of tone and a keen expressivity in his interpretations. Zelda, Code’s most famous solo, is delivered with tasteful musical shape and exciting technical assurance. This disc, however, offers an opportunity to delve into the lesser-known works of Percy Code. As a result, much of the repertoire may sound similar, but nonetheless results in a rewarding listening experience, each performed with the composer’s original musical intentions in mind. The earliest pieces, such as Wendouree (1919), Miranda (1920) and ‘Neath Austral Skies (1921) provide a charming range of musical styles, each executed in appropriately gauged character. The later solos, such as Valse Caprice (1933) and Prelude de Concert (1934), amongst others, demonstrate the evolution of Code’s compositional development, written as they are in a more modern, virtuosic musical style. Guest trombone soloist, Jessica Buzbee, delivers a colourful and richly detailed interpretation of The Emperor (1929), a rare original solo for trombone in early 20th Century Australia. Meanwhile, pianist Peter Baker provides an outstanding musical contribution throughout the disc with his sensitive accompaniment. He then features in the bonus track with a solo piano rendition of perhaps Code’s most famous march On Manly Shore, delivered with a perfect degree of bombastic energy! This impressive CD offers the first chance to listen to Percy Code’s solo repertoire in one collection, while the smartly presented sleeve notes provide an informative insight into the music and the composer’s life. Admirably, the project also includes a separately available book, which includes all the solos from this disc (including Bb, Eb, and C versions of the solo parts) and recordings of the piano accompaniments, offering performers the ability to play along. The superb quality of performance and recording, the historical interest and the overall vision of this release is one that achieves its title goal of Preserving Code with great success.